Fortnite is seemingly the most played game at the moment. Some say it will be a fad that will die out. Then others are investing their time into becoming Fortnite gaming legends. 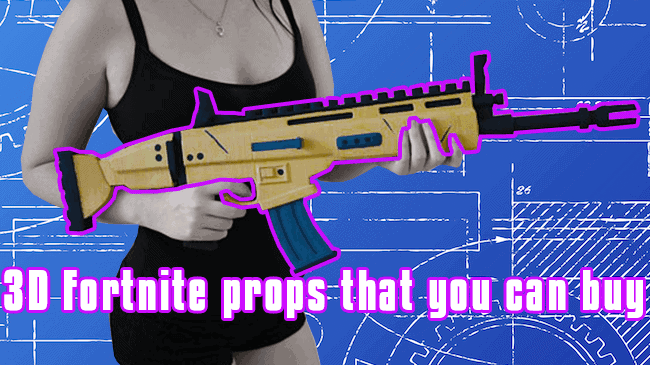 You, you are probably trying to cosplay a Fortnite character and that is why you are here. You’re to lazy to create your own Legendary Scar or Rust lord helmet. And that is okay by me, that stuff is difficult to make and very time consuming. So why not spend some money on the item already created?? The Scar in Fortnite is probably the best AR in the game, even though the game is shotgun heavy and favors the shotgun a lot more. 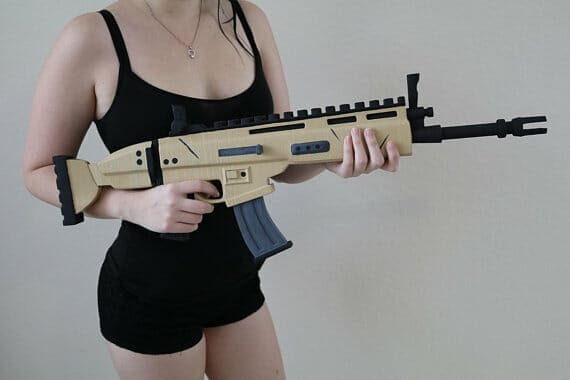 The scar is still a lot cooler in my opinion. Now the jump pad is as small as coaster, but it’s still cool. Can you use it for a cosplay, possibly. Maybe you can ask the printer to print you a larger one, but it will cost you. 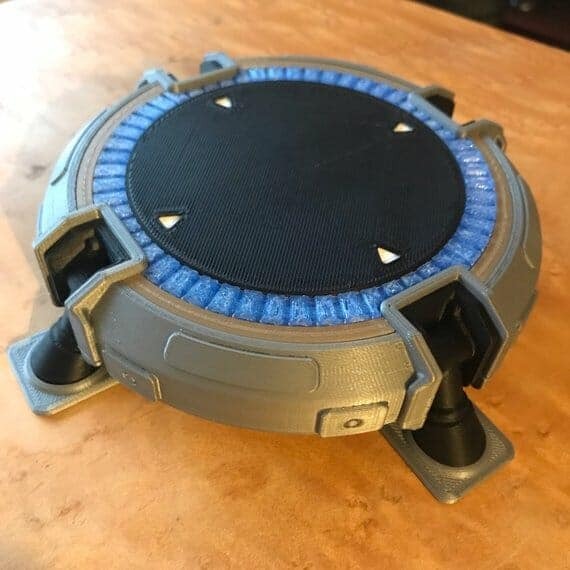 Either way this jump pad would make a great coaster. 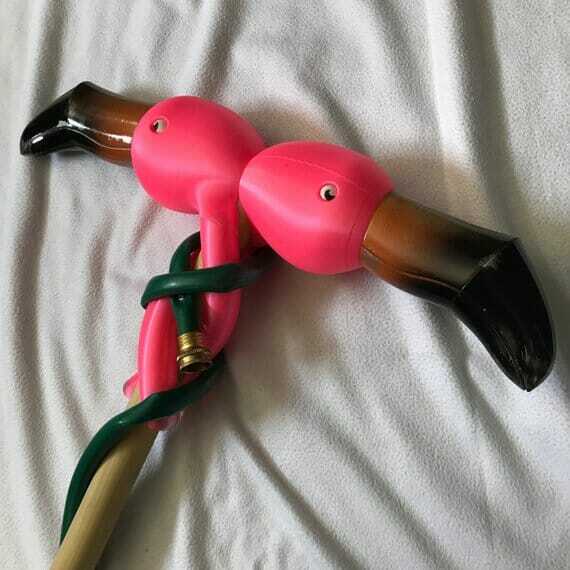 42 inches of pure flamingo axe, what more can a Fortnite lover ask for? 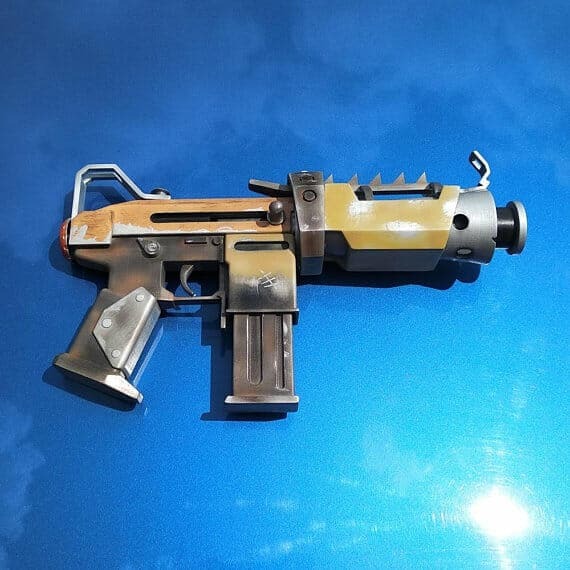 More weapons, specifically the tactical SMG from Fortnite. It’s an alright gun, I’ll only pick it up if it is purple though. 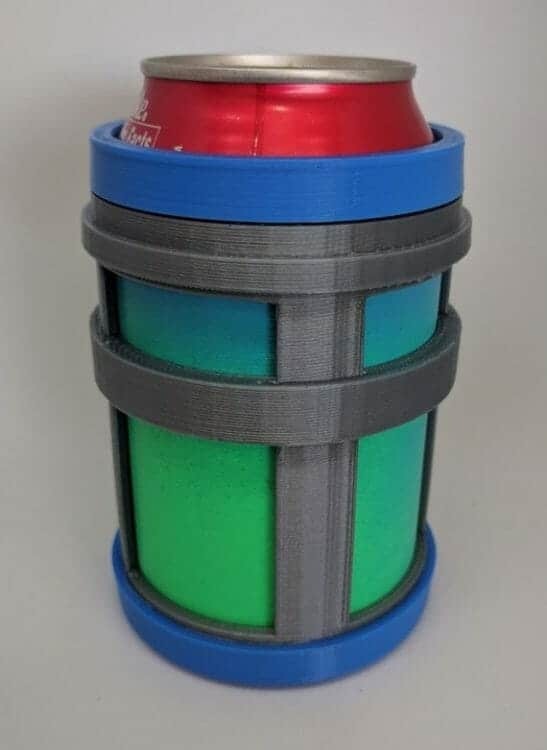 A Chug jug you can actually chug. Pop in that soda can and chug away. I cannot guarantee you that you will regain some health and shields though.